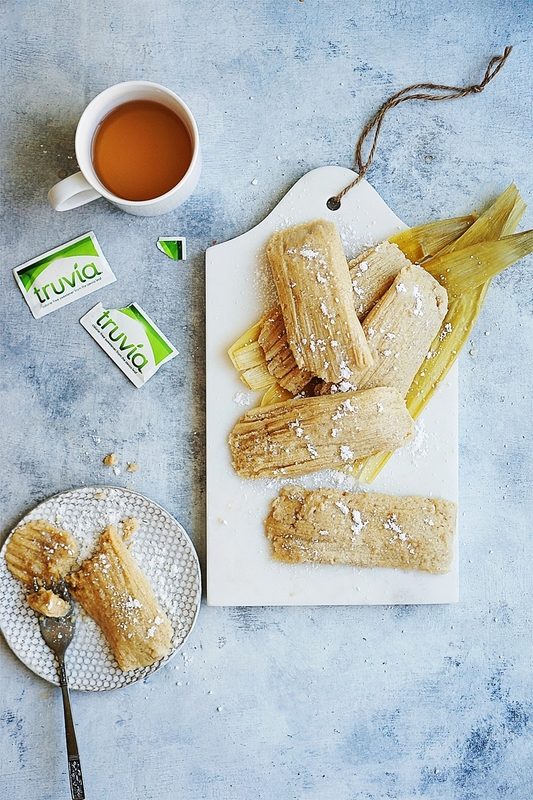 Sweet Corn Tamales are healthier than your typical tamal as it does not require Masa & lard. 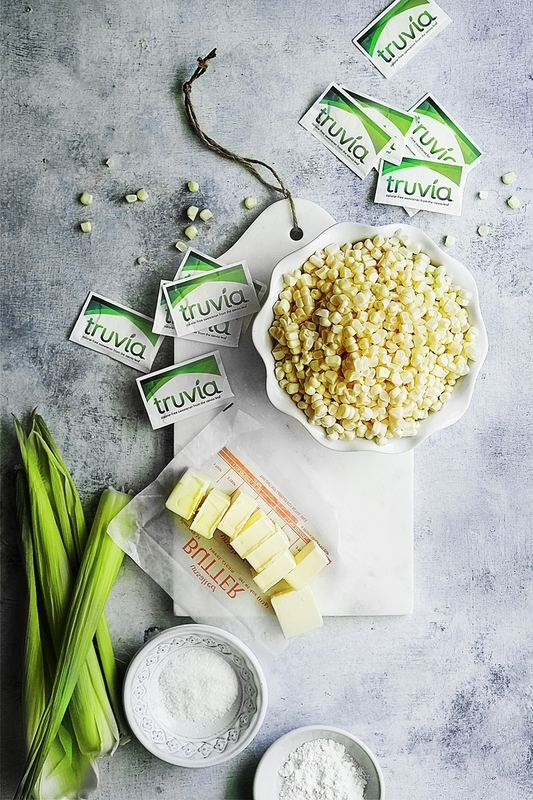 I went one step further and made them even better by using Truvia® sweetener instead of sugar. 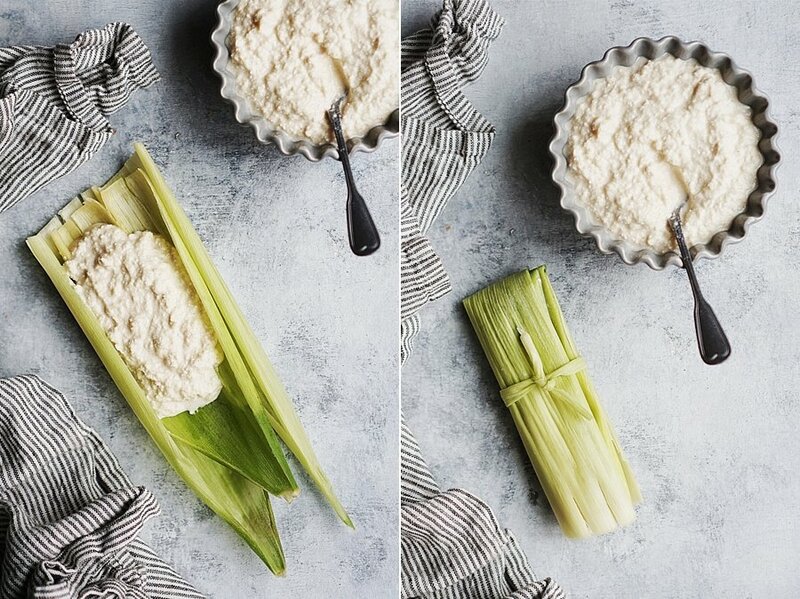 I wanted to share a Tamal recipe that is healthier and where the ingredients are accessible in any part of the country! Often times people tell me they can’t find a certain Mexican ingredient in their neck of the woods so they miss out on wonderful traditional Mexican dishes. I’m happy to say this recipe gives everyone in the U.S. access to ALL the ingredients. Sweet Corn Tamales also known as Uchepos, are a typical recipe from the state of Michoacan Mexico. 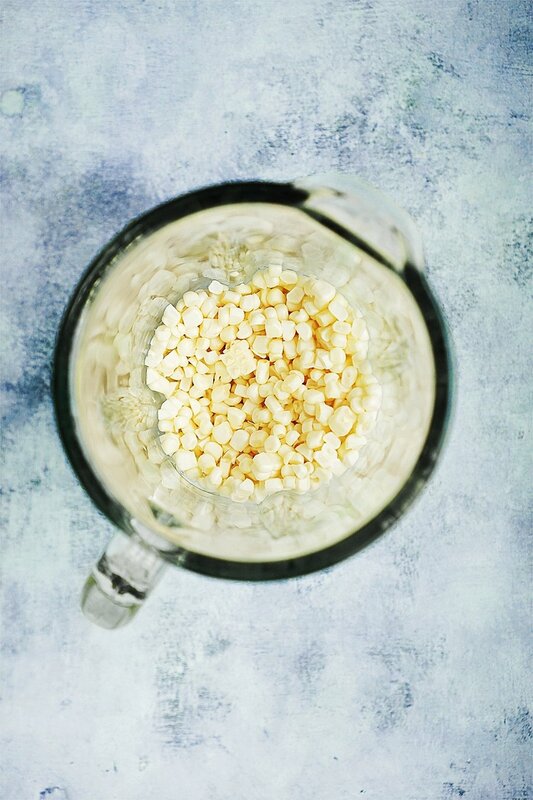 This corn mixture does not require many ingredients as binding agents and that’s what makes them so easy to prepare! We use the corn leaves to make the tamales so it’s important to use fresh corn, and fresh corn is delicious during the late summer and early fall. 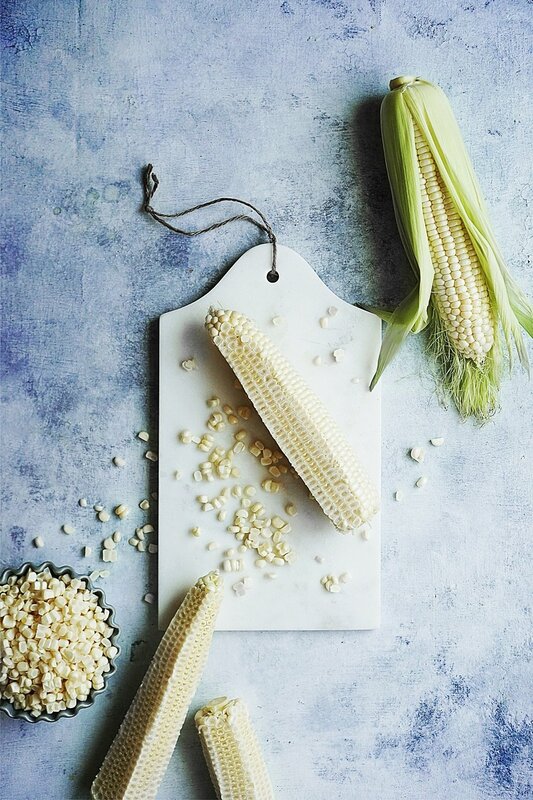 Alternatively, If you’re not using fresh corn, you can use the dried corn husks found at grocery stores. Unwrap the leaves very carefully, trying to keep them whole, and trim off the points. Rinse the leaves and set them aside to drain. 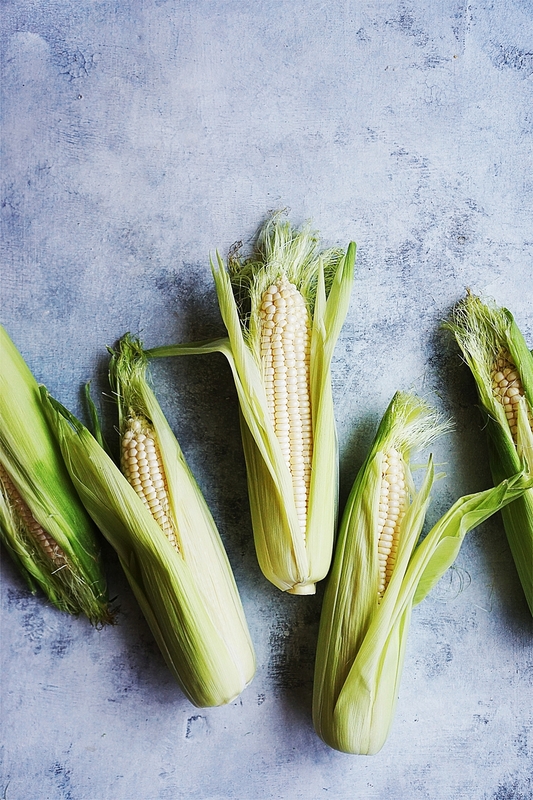 Cut the kernels from the cobs as near to the core as possible. I’m so happy to partner with Truvia as I’ve been using it for years! 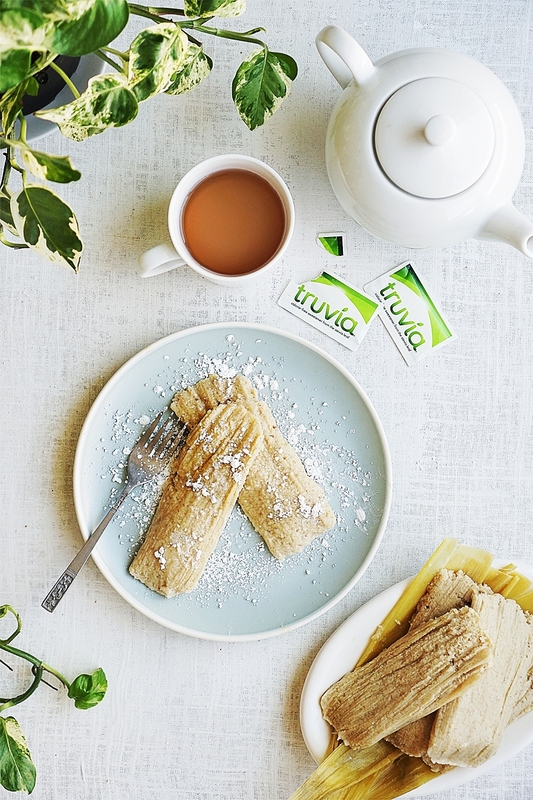 Ever since I became health conscious and decided to consume less calories, Truvia is my favorite natural sweetener. Put the kernels, two cups at the time, into the blender and puree until very smooth. Repeat until all corn kernels are pureed. You may have to keep stopping the blender and releasing the blades; but do not add water. Otherwise the mixture will be very runny and hard to bind together. Note: for this recipe I used Truvia packets but you can also use the spoonable version. 1/2 cup, or as needed, of maseca (corn flour) or corn muffin mix in case the the tamale mix comes out watery. Peel the corn and reserve the largest corn husks. Place corn husks in a large container Cover with hot water. Weigh husks down with a heavy plate to keep them submerged. 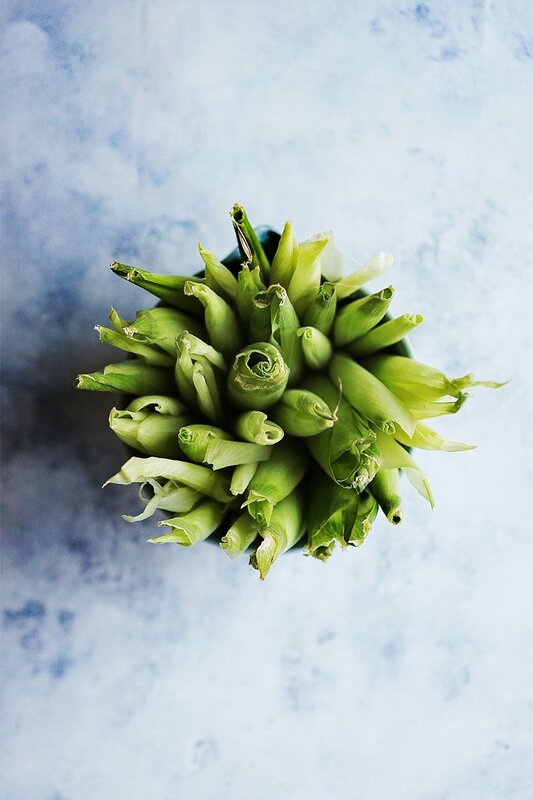 Soak husks for a minimum of 30 minutes until soft and pliable. Using a blender, add two cups of kernels at the time and puree until smooth. Repeat this process to puree all of the corn. Set aside. In the bowl of an electric mixer using the paddle attachment, cream the butter and Truvia Natural Sweetener until smooth. About 2 minutes. Add the cinnamon, salt, baking powder and vanilla extract. Mix for 1 minute. Add the pureed corn kernels a little bit at the time, ensuring everything is mixed together. Drain corn husks. Gently flatten and pat dry. Holding 1 corn husk in one hand, with the narrow end pointing toward you, spread a heaping ¼ cup corn mixture in center of husk. Fold left side of husk over right side, then fold bottom up and tie with kitchen twine or a strip of husk. Stand tamales up on rolled ends in steamer basket in a pot deep enough to hold them upright. Steam 60 to 70 minutes or until the corn masa is firm and holds its shape. Serve with powdered sugar or Mexican crema for a savory contrast.